I just wanted to give folks an update on Sons of Lady Eighty Seven. Adam Baulderstone made this very useful reference tool for Wandering Heroes of Ogre Gate. It is very useful for quickly finding Kung Fu techniques. It also helps you find techniques by sect. You can find it HERE. As I mentioned in an earlier announcement, I am going to be focusing on a one or two things at a time, for health reasons. I still have projects I am intending to release, some however might just end up as blog entries. Sons of Lady Eighty Seven will be a full module (likely 100 pages). 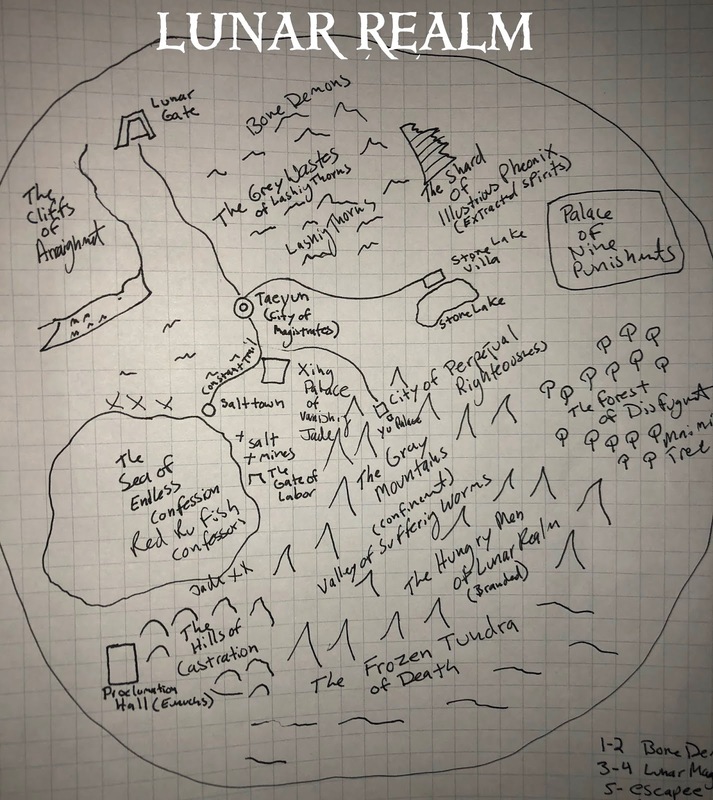 We've just started work on the official maps, and I have completed the majority of design and writing. 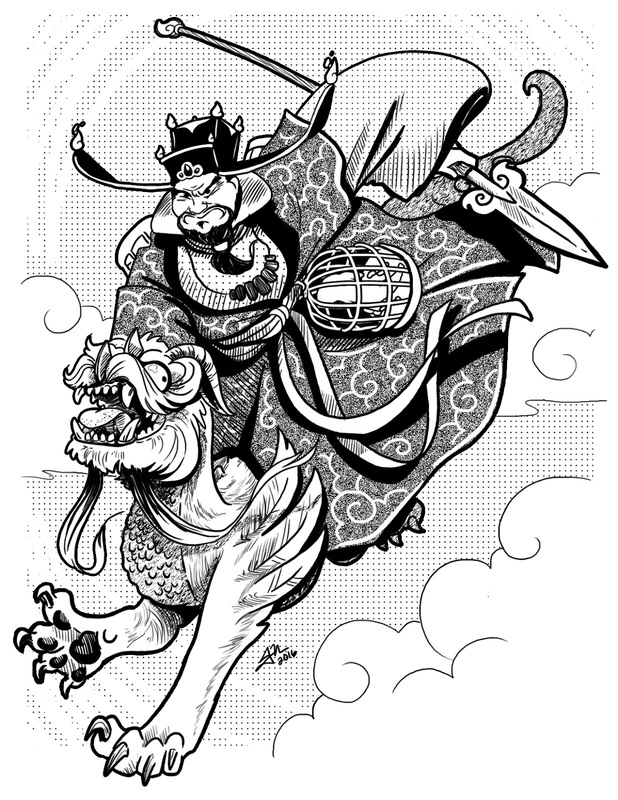 Sons of Lady Eighty Seven is a campaign book, meant as an illustration of how I manage wuxia campaigns. 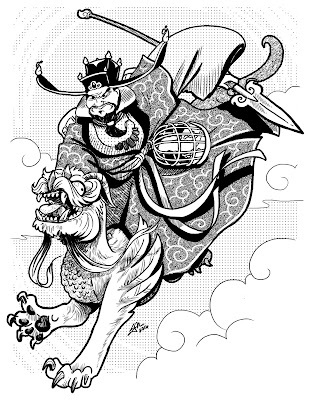 It is intended to show people what I meant in the WHOG core book GM Chapter. It is set within the empire itself (our only other book set inside the empire is a city adventure called Tournament of Daolu). The inspiration for it comes from a variety of sources. The first is historical. Lady Eighty Seven is a real figure from history (you can see my previous discussion about her HERE). It is also heavily inspired by stories like Meteor, Butterfly Sword, and the Seven Killers. If you want an idea of what to expect you can follow the blog entries and podcast of the Sons of Lady Eighty Seven campaign. The campaign is meant for a party that is involved in the darker corners of the martial world, and assumes involvement in criminal activity. There is still plenty of opportunities for heroics, but it takes a campaign of bandits and thieves as its default assumption. At 100 pages the book has a lot of entries. It gives a good foundation for a campaign and also provides an overview of a complete prefecture (Fan Xu). I tried to keep entries shorter and took a page from Gu Long when describing my characters. The longer I've run Ogre Gate, the more I've leaned toward this. This will probably be the last official release that details an Imperial Prefecture. Partly this is because of my need to reduce workload. But it is also not much of a change, because I've never really been interested in fleshing out every corner of the campaign through our releases. My hope is more to give people guideposts on how they might flesh out these areas if they want to focus on them. 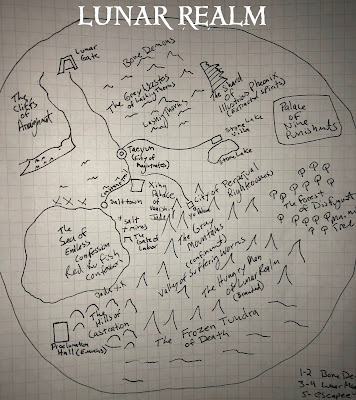 I do think this is probably the best representation of the setting and the genre I've done so far. I've had a lot of time to make mistakes and figure out what works. The material in this book was by far the easiest for me to run at the table, because I tried to apply those lessons. 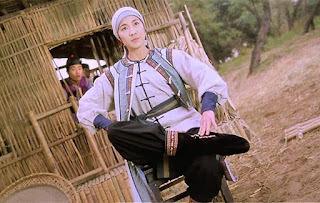 It also, in my opinion, best reflects the kinds of things in wuxia and related genres that I find appealing. The art for this is almost done, and it looks stunning. I am always a bit nervous when I go into projects because you start with an image in your head of how it will look and along the way, it is easy to mess it up. I've been very lucky with art in recent years. Jackie Musto has been doing our interiors and the interior images of Strange Tales capture the feel perfectly. I think it is a challenging genre to convey visually. Strange Tales is very close to done, and is in the final rounds of play testing. Strange Tales is very different from Ogre Gate but it is based on the same core system. I basically wanted something that was lighter, easier to make characters for and deadly. It is much more rules light. It also isn't as setting dense as Ogre Gate was. This is more of a simple rulebook with adventures and monsters that help illustrate the setting intentions. But I am assuming every GM will use the material differently. So we devoted all of our pages (we have a limit of 100 on this one) to rules, monsters and adventures. If you like Strange Tales from a Chinese Studio, or movies like A Chinese Ghost Story and Painted Skin, this is a game you might be interested in. This weekend we talked about the movie Ashes of Time. It is directed by Wong Kai-Wai and has an all-star cast. 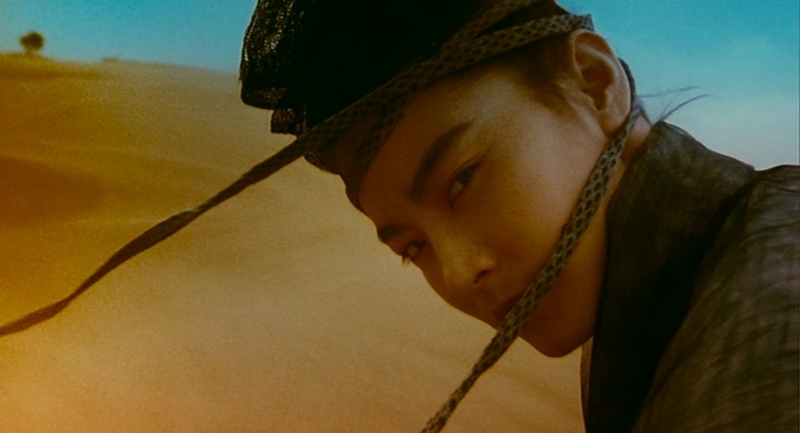 Brigitte Lin plays an interesting brother and sister, with a twist. Leslie Cheung plays Ouyang Feng, the villain from Legend of Condor Heroes. Big Tony Leung plays Huang Yaoshi (the future master of Peach Blossom Island). Tony Leung Chiu-Wai plays a blind swordsman. Jackie Cheung plays Hong Qigong. There are also performances by Carina Lau, Charlie Yeung and Maggie Cheung. On Wuxia Weekend last week, we discussed the Yuen Woo-Ping film Wing Chun, starring Michelle Yeoh, Donnie Yen, Kingdom Yuen, Waise Lee and Norman Chu.